A conference is always richer than the sum of its parts and the biennial gathering of the National Pastoral Planners’ Network proved the rule. 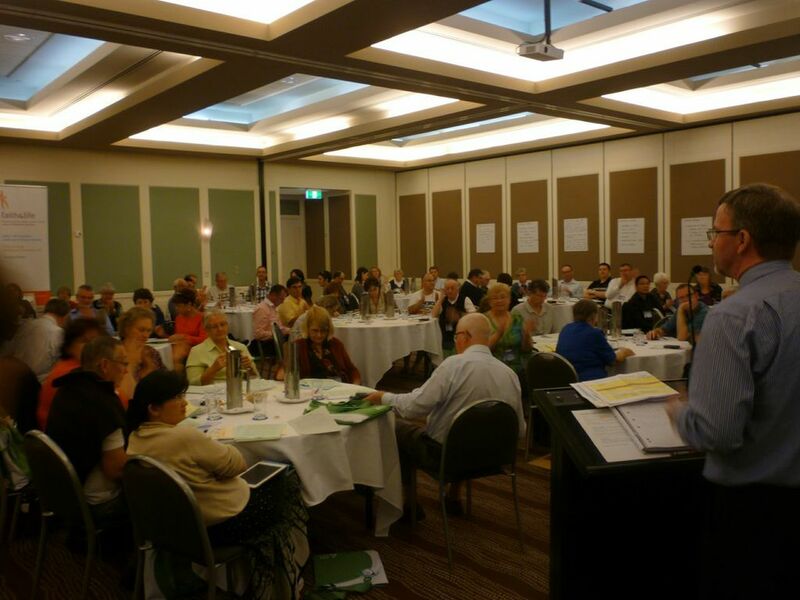 Held on the Gold Coast, Queensland, in late May 2013, the conference brought together those working in the area of church planning across Australia as well as in New Zealand. Also part of the mix were representatives of the Pastoral Research Office, a Catholic agency which assists Australian dioceses to make sense of internal and Census data, and a number of bishops, vicars general, laypersons and priests seeking to exchange ideas on various levels. (You can find a blog about the conference keynote addresses on the Parramatta pastoral planning website here). What struck me was the emphasis on structural change that was thread throughout the conversations, most notably the workshops I attended. In many dioceses in Australia there has been the need to twin or cluster parishes (communities share a priest while retaining their identity as separate parishes) or even amalgamate parishes on account of various factors. These reasons include, but are not limited to, the financial realities of church life, shifting populations, the need to redistribute parish priests to serve in greater areas of need, and then there is the desire to minimise duplication and to make the most of opportunities for increased collaboration. The whole business of parish reconfiguration, amendments to parish boundaries, even changes in models of parish leadership, and the re-allocation of resources is complex business, far more complex than popular accounts and external commentary on these changes convey. Structural change is always a controversial issue because people, quite rightly, have a deep attachment to their parish which is more than an administrative unit but, indeed, a spiritual home. Nonetheless, the responsibilities of dioceses go well beyond a single parish and, as communities of communities, they are challenged to take into account distinct parish needs and circumstances right across their region all at once. The tensions between the parts and ‘the whole’, the particular and the universal, the needs of the parish and that of the greater diocese, manifest themselves for all those involved in this important work. (I’ve discussed some of the responsibilities of dioceses in a previous post). In my experience, one of the reasons that the planning of a diocese can seem confounding or rather abstract for the average parishioner (if there is one) is that very few parishes themselves have had an experience of planning at a parish level. Without this commitment in a local context, the rationale of planning for an entire diocese can appear foreign, be viewed with scepticism or even considered unnecessary. When parishes do plan, it tends to be rather piecemeal, initiated for a particular event or else confined to planning for liturgy or the raising of parish funds. Meanwhile, the broader life of the community and the totality of its ministries are left to unfold year after year without a clear direction or a unifying vision. As just one example, a lack of succession planning for parish ministries often leads these groups in a bind when long-established leaders move on or retire while a more concerted effort to plan for ministries over the long term might help a parish community meet such changes with confidence. 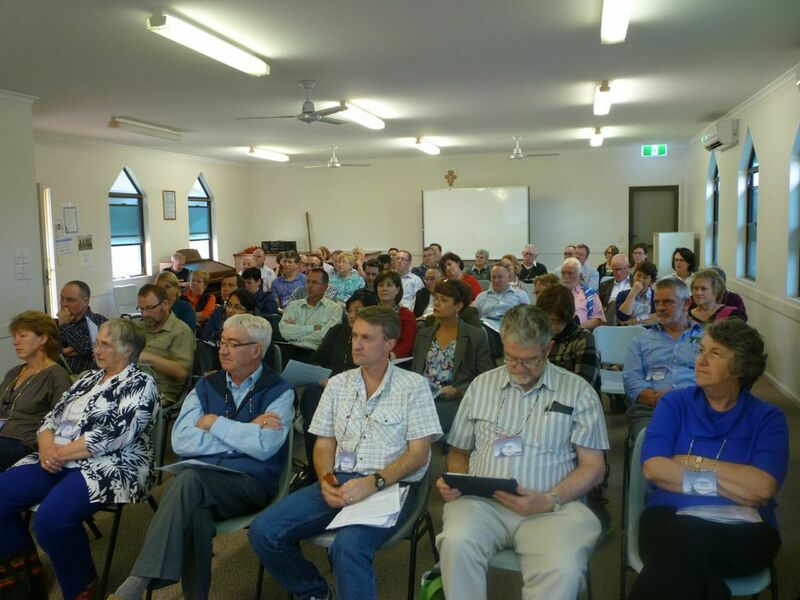 (A helpful example of a parish pastoral plan was shown to us at the NPPN Conference, in the form of Surfers Paradise Parish whose pastoral plan is available here in PDF; 540KB). So . . . as a parish or a ministry group it may be well worth having a look at what dioceses and parishes are doing right across Australia and abroad in the area of planning as a potential inspiration for your own community. There are varying approaches – some may be paradigms of good process while others may be models of what not to do! My own diocese launched its planning process in February 2012. This was followed by eight months of in-person consultation across 49 parish communities, an interim report (PDF; 1.2MB) that shared the responses from that process, and, more recently, a further call for feedback on draft parish goals (PDF; 1MB) which have been developed. The final pastoral plan, entitled Faith in Our Future, is due to be released in February 2014. It will outline the future directions of Parramatta’s church agencies (CatholicCare Social Services, Catholic Youth Parramatta, and the like) as well as practical or grassroots recommendations for parishes to take up in their communities. Click here for the website which contains more information and regular updates. 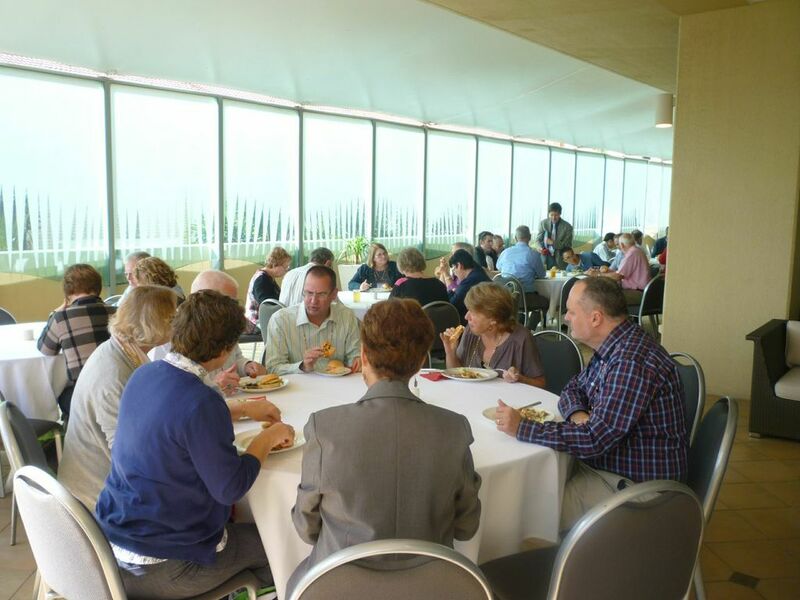 A leadership forum was held by the bishop of the diocese, Bp Bill Wright, in January 2013. From this flowed fourteen key areas of priority for the Diocese as well as the assignment of strategic actions for the immediate future. Click here for the website which provides an overview. The Pastoral Plan launched by the previous Ordinary of the diocese, Bishop Michael Malone, was to extend to 2014, and can be found here (PDF; 2.21MB). This diocese has some history of pastoral planning, with the previous plan entitled Pastoral Care for Evangelisation (2006-2010). In 2011, a diocesan synod was held. Interestingly, much of the synodal process was facilitated by external consultants who specialise in the area of leadership and management services. The diocese approached the synod primarily through a survey (I remember sighting them in the pews while on retreat at the Benedictine Abbey at Arcadia). A timeline is available here (PDF; 8KB) which could be used as the basis of a parish planning process, albeit on a smaller scale. The final statements and resources flowing from the Synod are available at this website. This diocese launched its impressive pastoral plan, Bearers of Christ’s Love, in 2011 and it extends to 2015. A summary version can be downloaded here (PDF; 1.8MB). Wollongong is currently working towards achieving one of its key goals contained in its plan, which is to ensure its community structures respond to current and emerging needs. This link contains some excellent resources for a diocesan conversation about community change, resources that could well be applied to your own parish planning with some adjustment. The pastoral plan of the Sydney Archdiocese, Starting Afresh with Christ, was launched in late 2007 and extended from 2008 to 2011. The document can be accessed here (PDF; 2.8MB). The reason I make mention of this older plan is that the May 2013 edition of the Catholic Weekly alluded to an ‘iteration’ of the Pastoral Plan in one of its articles though the meaning of this is not yet clear. A decade ago, the Archdiocese of Brisbane held a diocesan synod. Following the synod, nine priorities were formally promulgated by Bishop John Bathersby and the pastoral plan, Let Your Light Shine, soon followed which set out how the archdiocese would realise these priorities from 2004-2011. Click here for more website information. This diocese has developed a plan that appears to be focused on structural change, under Archbishop John Dew. Consultation was conducted through a number of focus groups, and the archdiocese is currently inviting responses to a series of proposals by the diocese. You can find the ‘proposal document’ here (PDF; 1.6MB). The final pages of the proposal document include templates for the response of individuals and parishes to potential changes. This seems a reasonable approach of inviting feedback for a diocese, given its scope. However, parishes may prefer to hold in-person consultations when developing a pastoral plan, given their relatively smaller scale which tends to make the amount of feedback gathered more manageable. Following the devastating earthquakes of 2011, the Diocese of Christchurch has, understandably, been focused on planning for the repair and rebuilding of not only churches but presbyteries, halls and parish centres as well. The latest diocesan documents on these plans are available here on their website. We wish them well in this complex but essential work.